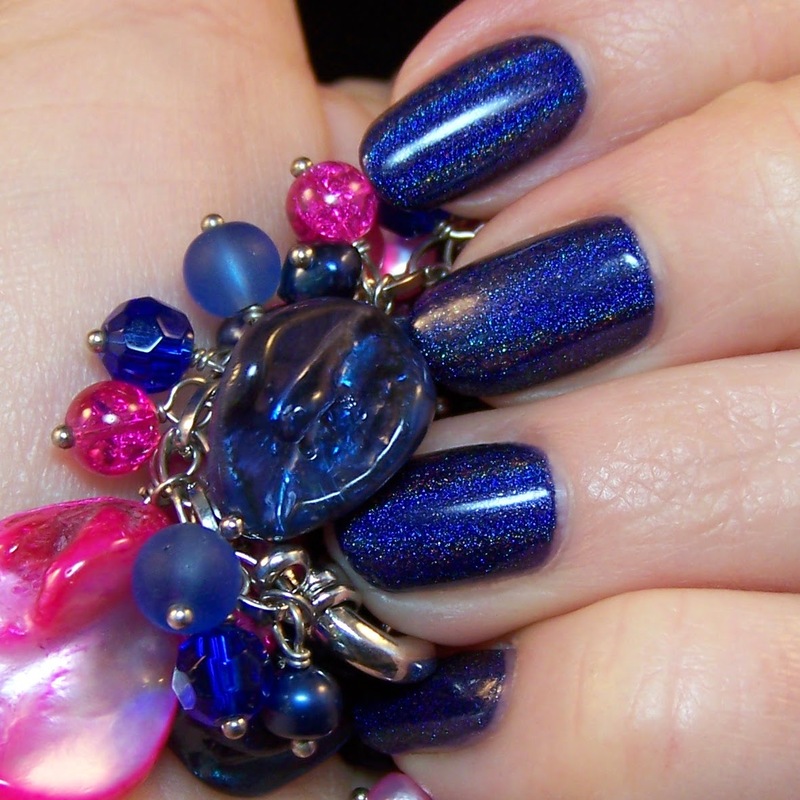 OK, I do have a couple of dark blue polishes. But they are not the same as this Darling Diva Nightbird. Maybe similar, but definitely not the same. Definitely. Not the same. Similar. I swear. 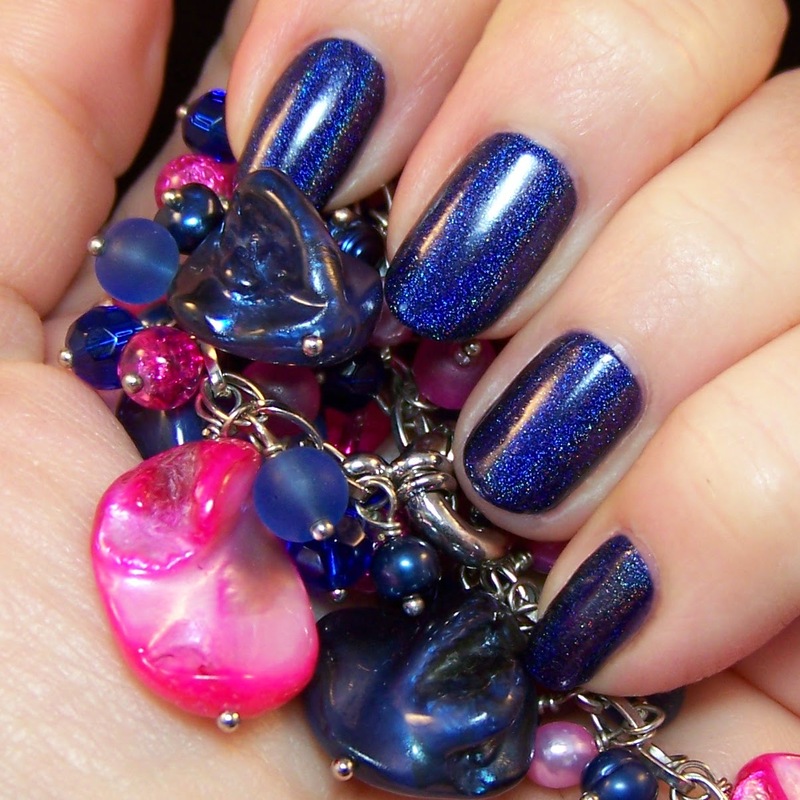 Just kidding, it is actually not that similar, Nightbird is a fair bit darker than for example Beautiful Mistake by Love Thy Polish (which by the way is also stunning). 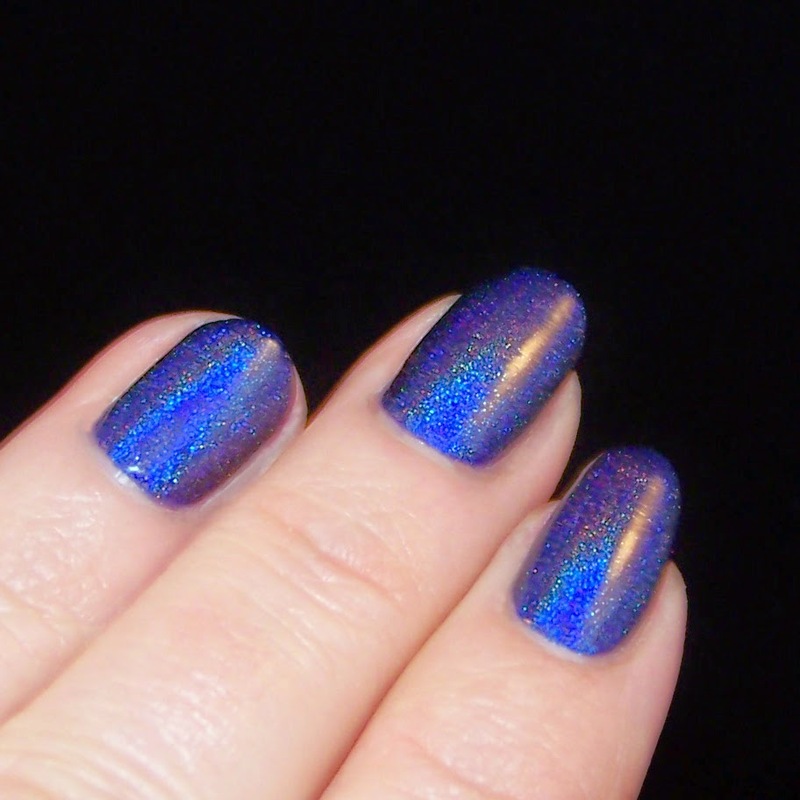 I absolutely love this really midnight blue holo. Couldn't stop looking at my nails, especially in the sun! 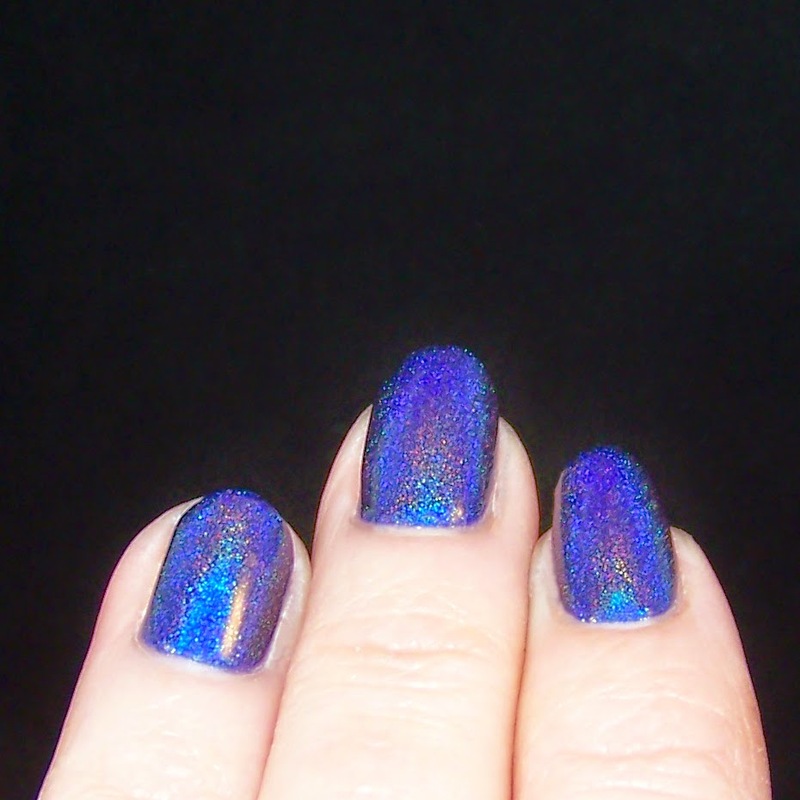 It has a pretty strong holo effect but it still keeps its dark base color. 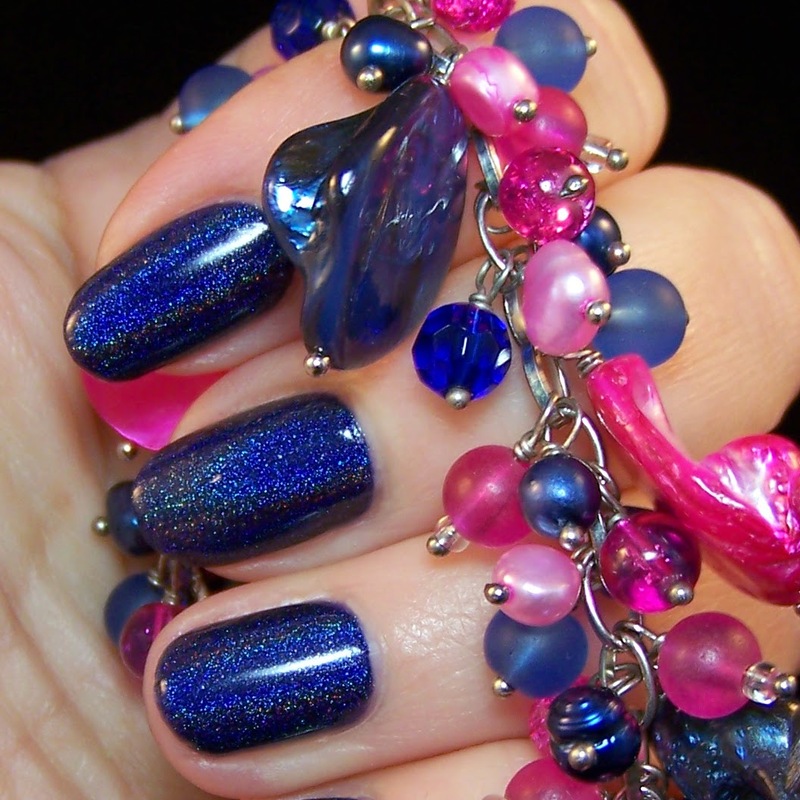 with flashes in medium blue and a hint of purple. In a couple of the photos it looks like it is much lighter than it really is, but in these you can see the purple hint. The formula isn't fantastic but manageable. A bit gooey, although good coverage. Opaque and a smooth finish with two coats. Fint och mörkt holo! Jag gillar't! Ja det är en väldigt fin, djup blå färg. Inte ofta man ser det med såpass stark holo.